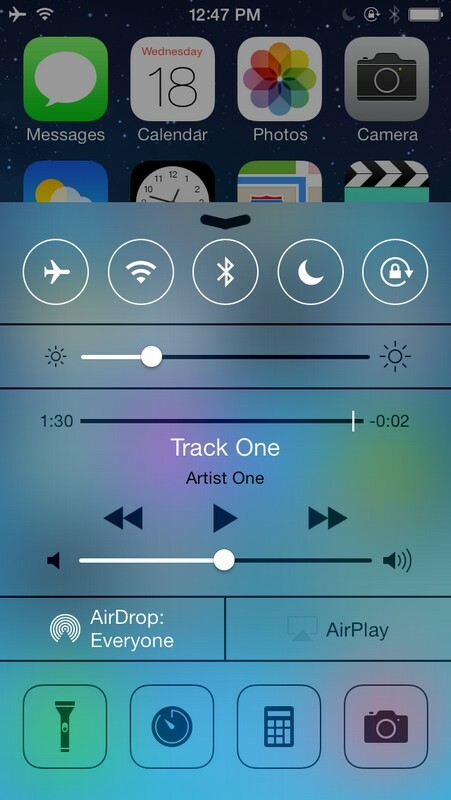 Here's a look at the new Control Center. Do what you need to do. Quick. Turn on or off Airplane mode, Wi-Fi, Bluetooth, and Do Not Disturb. Lock your screen’s orientation or adjust its brightness. Play, pause, or skip a song. Connect to AirPlay-enabled devices. 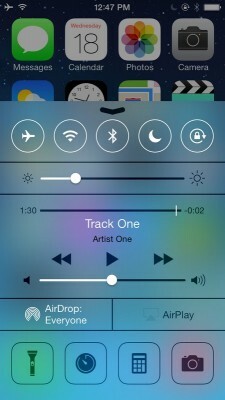 And quickly access your flashlight, timer, calculator, and camera.